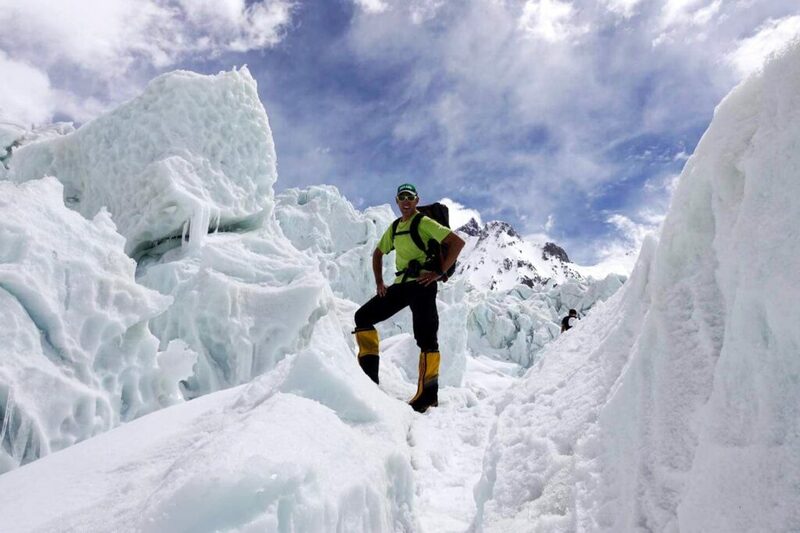 We’re proud to be supporting Irish Adventurer Jason Black this year, as he sets out to be the 2nd Irishman to summit K2. 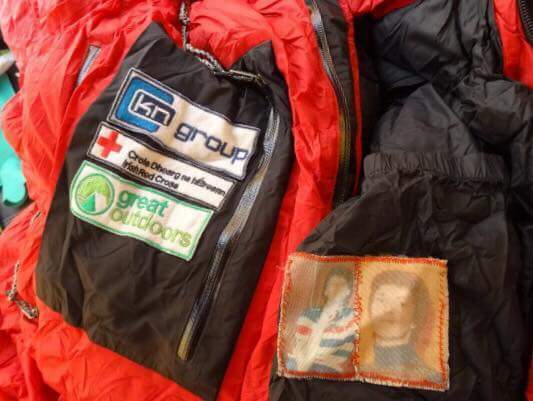 He’s climbing in honour of the first Irishman to summit K2, the late Gerard (Ger) McDonnell, who in 2008 lost his life while descending the mountain. Jason will be leaving a plaque at Base Camp to commemorate Ger, and Ger’s family were gracious enough to let Jason climb with Ger’s Jumar. This is Jason’s second attempt, he tried previously in 2015 but after a near miss with an avalanche the expedition was called off. Although smaller than Everest K2 is far more difficult and dangerous. 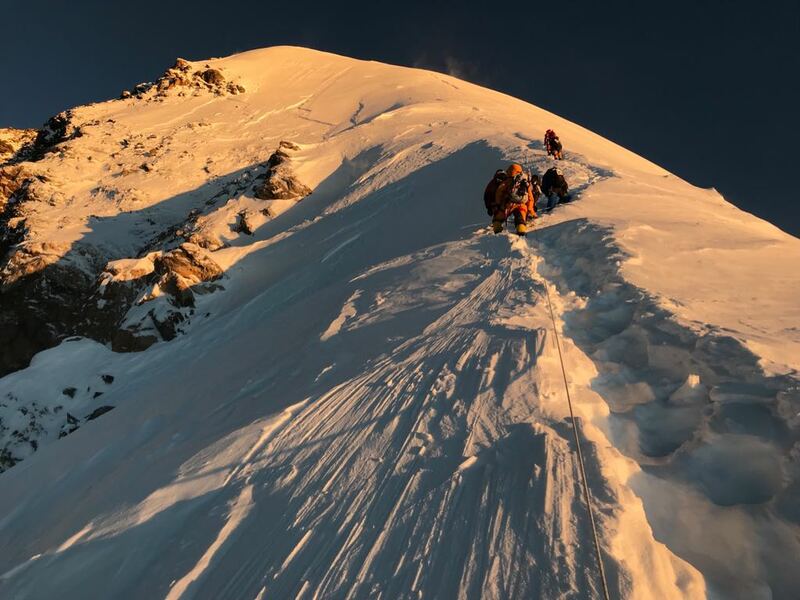 With around 300 summits for 74 fatalities, it is the worlds second deadliest peak over 8000 metres (Annapurna in Nepal has a higher death:summit ratio). 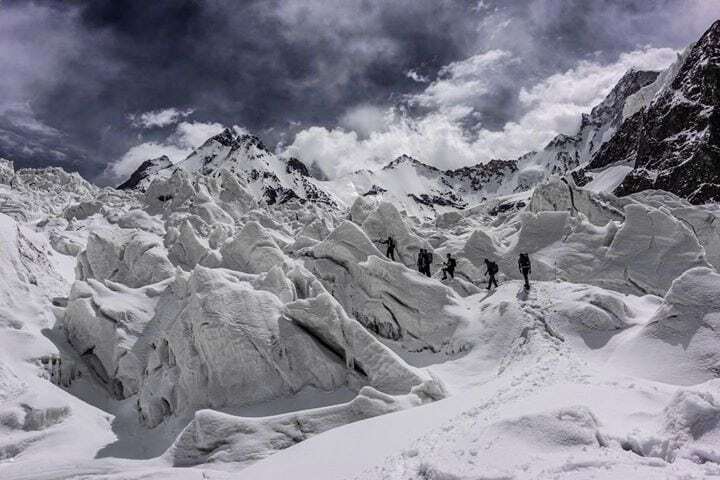 Aside from struggles with altitude, climbers on K2 have to deal with unpredictable avalanches, difficult technical climbing, forced exposure under seracs, and unpredictable rapidly changing weather. It one of the most revered peaks in the climbing world, and we’re watching intently with our fingers crossed for Jason. Watch this space for updates on Jason’s expedition. Reverse order, latest information is added to the top. 28 July: More word from Jason as they trek back out to civilisation. He is 50km (2 days walk) from Askole, Pakistan. From there he has a Jeep ride and 2 flights before his return to Ireland, sometime around August 1st. 23 July: Confirmation arrived at 3:15pm Irish time that Jason has arrived safe at Base Camp. Congratulations Jason! 22nd July: Word from Jason again as he is safe down at camp 2. Hopefully it is smooth sailing from here on as he descends to Base Camp and then returns home to Ireland. Safe home Jason! 21 July: Jason and the team have arrived at camp 4, all in good form on the eve of the summit bid. Final push is tomorrow! 20 July: Word from Jason: he’s arrived at Camp 3, but it has been slow going due to the recent snowfall. On Saturday 21 July they will set out for Camp 4 where they will rest briefly, and if all goes to plan they will summit at around 7:00 Irish time (11:00 local time) on Sunday July 22. 20 July: Jason and the team made the decision to wait out the snow at Camp 2 and now it looks like conditions have improved. The team planned to set out for Camp 3 this morning at around 6:30, meaning a summit this weekend is still on the cards. 19th July: The team is safe and sound at Camp 2. It snowed most of the day on the way up, and conditions were breezy. An assessment took place this morning as to whether or not to advance to Camp 3, and we’re unsure of the outcome at the moment. If all goes to plan the team will summit on the morning of 21st July. 18 July: The team slept last night at Camp 1. Had a good days climb yesterday, some snow showers in the afternoon but it has cleared up and they are setting off for Camp 2 today. 11 July: Jason has returned back to Base Camp after a successful acclimatization rotation. He spent 5 days climbing to Camps 1 & 2, topping out and sleeping at 6930m. He is feeling strong and healthy (and hungry). After a well earned rest back at a lower elevation hopefully the team will have the weather to plan their next steps! 6 July: Jason is starting his acclimatization rotations. He’ll be spending 4 days on the mountain to get used to the altitude. 2 nights at camp 1 (6035m) and then 2 nights at Camp 2 (6800m) before descending to recover and give an update. He’ll face his first serious obstacle between camps 1 and two as well: House’s Chimney. Its a 100m vertical wall, a challenging enough climb, but more difficult still at 6500m. 2 July: The Sherpas had a Puja ceremony today. This is a Buddhist appeasement to the mountain gods, which must be completed before setting foot on the mountain. Jason and the team participated, and have started practicing the technical processes needed for climbing the Abruzzi ridge. Weather is clear and forecast looks promising. 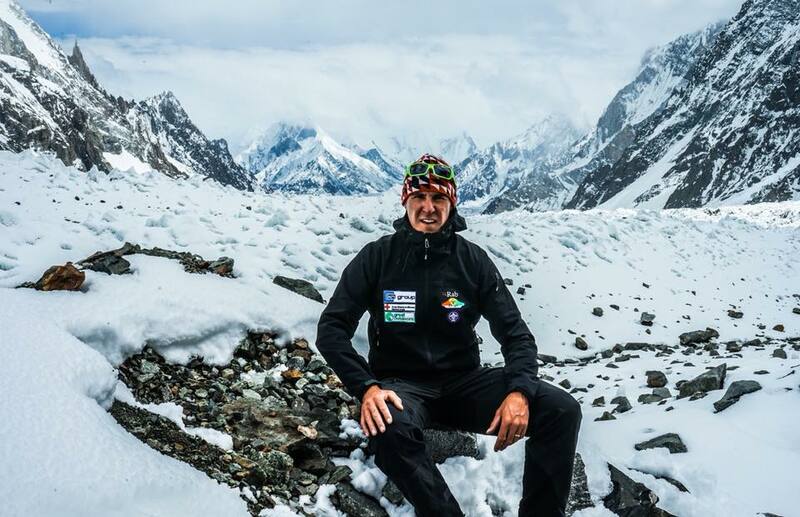 29 June: After a difficult trek, beaten down by harsh weather, Jason and the team have arrived 1 day ahead of schedule at Base Camp and are setting up for a long 2 months. The mountain is currently not very settled and discharging violent avalanches. 21 June: Jason and the Madison Mountaineering Team Arrive in Skardu, a short Jeep ride away from the beginning of the Trek to Base Camp.